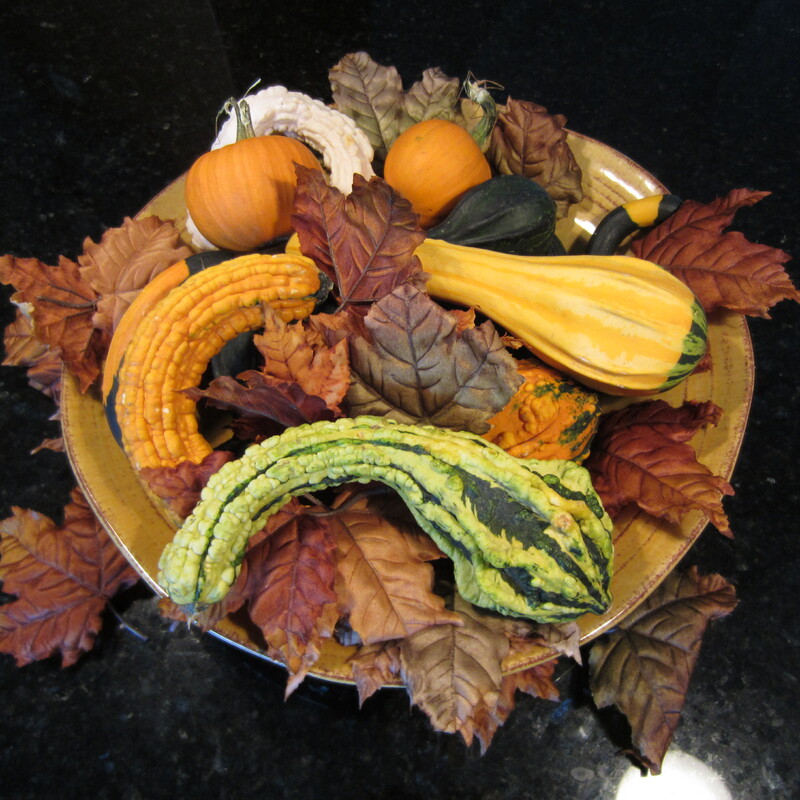 Gourds from local market make a great centerpiece. My grand kids picked out assorted gourds and mini pumpkins for a Fall centerpiece. My granddaughter arranged them all in a big bowl along with some faux leaves from the local craft store. It’s a beautiful display for under $7. I purchased the big bowl (pictured) online a number of years ago and LOVE it. Worth the investment since I can swap out different table arrangements based on the season. In off seasons I fill it with faux fruit & vegetables (the nice kind, not that cheap Charlie stuff).One online shop that has really nice product is Zimmerman MarketPlace.